Mr. Khalid Wani, WD's Sales Director, Branded Products, India, Middle East & Africa shared interesting details on how the HD Media Player and storage market is shaping up, the importance of ultrabooks, and how SSDs will shape up. Western Digital recently invited us to have a wide ranging interaction with Mr. Khalid Wani, where he spoke about the importance of the HD Media Player business for WD and how they plan to tackle the rise of Apple TV and the Android boxes, how the storage process are coming down and the importance of refreshing the line-up, the fact that the ultrabook project is very critical for Western Digital and what to expect this year from WD. How big is the HD media player market in India? Is it a significant segment for Western Digital? WD has been a player in the Indian HD media player segment for several years with products such as the WD TV Live range being quite well accepted by consumers. We are continuing our focus on this important segment and look forward to capturing additional market share in the future. It’s definitely a segment that we are watching closely as it has been growing steadily and, as such, has recently attracted the interest of other media player vendors, some of who have now entered the market with their products. What new can we expect from WD in this segment, as follow-up to the excellent WD Live family of media players? In order to maintain our edge in this competitive space, WD has been investing money into the research and development of successor products to the successful WD TV Live series. These new products will be designed to give consumers an even better user experience when they are ready for launch. In order to bridge the gap between the current and future products, WD has also been focussing on improving the experience offered by the current range of products by offering a number of free-to-download firmware updates. These updates add new features such as new file format support, tweaks to the graphics user interface, all of which ultimately extends the longevity of the products. Media boxes with Android have become somewhat popular off late. Any plans for WD to bring an Android box into the market? Google’s Android platform is one that has been well accepted globally in the smartphone and tablet space, and for use as a platform to build media players around. In our quest to offer consumers the best possible user experience and the most features, WD evaluates every platform before it commits to pursuing one to build a product around. If we feel the best results are achievable via the Android platform we will definitely consider it. With Apple TV now in India, does it have an impact on any of the existing WD Live devices, in terms of pricing or positioning? The WD TV Live range of products has been well received by both press and consumers in what is already a competitive market in India, as well as around the world. As we continue to improve the product with firmware updates, we are confident the product will hold its own against competing products such as Apple TV. We are monitoring the media player market in India as new entrants appear and will adjust our go to market strategy if necessary. For now we will continue to drive awareness about the products via marketing initiatives, PR and social media outreach. How is the HDD market shaping up in India? Is WD seeing robust numbers from sales of portable drives off the shelves? Owing to the digital content explosion and the growing tendency of consumers to store, share and consume this high definition content, the need for high capacity storage is growing. An increasing number of consumers are thus opting for larger portable drives to sustain their digital lifestyles. As the only storage vendor on the market to offer a portable drive with 2TB of storage (in addition to a range of other capacities) with the My Passport range, WD is well placed to serve this demand with its products. People are also, increasingly, becoming aware of the need to maintain up-to-date backups of valuable data and for this, again, consumers tend to opt for portable drives. Any plans on bringing down the cost of storage in the near future, or will the price points remain the same, but with larger storage? Hard drive prices have been decreasing steadily over the years and although there was a spike in pricing in the period following the devastating 2011 Thailand floods, which created a global shortage of hard drives, today, prices have stabilized and are approaching pre-flood levels. Hard drives are still very cost effective in terms of how much you pay per megabyte and this is likely to continue as new products find their way onto the market. Is WD actively participating in the Intel ultrabook project with various notebook manufacturers? With the launch of our 7mm Blue drives last year, WD cemented its position as a supplier of storage drives for the ultrabook segment. We will continue to invest in storage products designed for the thin and light segment, which includes ultrabooks. We are therefore a very active participant in the ultrabook project. Will we see SSDs becoming more affordable in the near future? If not, what could be the reasons for that? It’s difficult to pinpoint exactly when SSDs will drop in price to the point that they are actually considered affordable. This is more so when you consider that hard drive pricing may also decline over the same period of time, which would in turn affect a consumer’s perception of what is considered affordable. This could very well mean that the price difference between these two storage technologies could be significant for the foreseeable future. SSD pricing is governed by several factors but perhaps the biggest is that there simply isn’t enough demand for these drives. With demand lagging, it’s tough to push aggressive pricing. With even certain notebooks now offering SSDs, aren’t the lines between a notebook and an ultrabook blurring? How does that have an impact on WD’s alliance with the partners? Ultrabooks are a subcategory of notebooks and manufacturers are only allowed to classify their products as ultrabooks if they adhere to hardware specifications specified by Intel. The basic idea is that ultrabooks should offer strong performance and battery life, while at the same time being less bulky than typical notebooks. So ultrabooks are essentially high-end notebooks that have been put on a diet. Presently most ultrabooks offer SSD storage as standard while these flash storage systems are still more of an optional extra on standard notebooks, owing to their high cost and limited capacity. As a result there is still healthy demand for mobile hard drives in the standard notebook segment. As consumers demand more capacity and are hesitant to bear the high premium of SSDs, vendors that offer ultrabooks have actually begun offering products with ultrathin hard drives such as our 7mm Blue drives. WD is further investing in drives optimized for the thin and light segment in response to this opportunity from our partners. We are sampling low profile 5mm and 7mm SSHDs with major OEMs at the moment. Can the consumers expect any new products soon from Western Digital? Yes indeed. 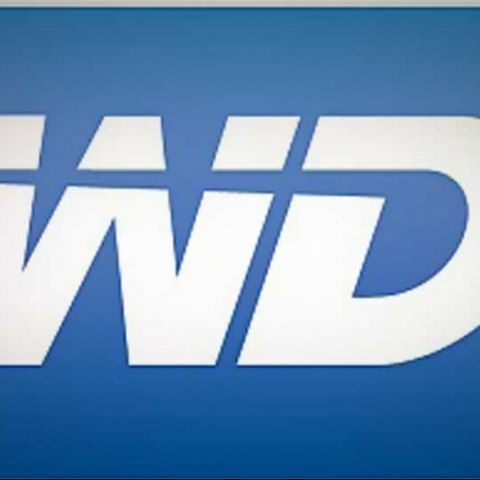 Over the course of the year WD has plans to release a number of new consumer-aimed products that will enable buyers to live their digital lifestyles to the fullest..